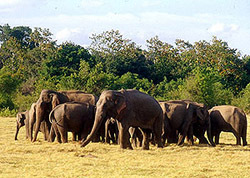 Wasgamuwa National park stands unique among the most of national parks in Sri Lanka and the only national park in the Central province where one could see elephants in their natural habitats. 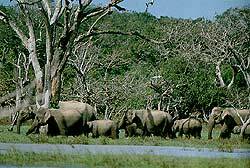 Wasgamuwa National Park is a national park in Sri Lanka, which is known for its large elephant herds. The National Part reached a size of 36,900 hectares. 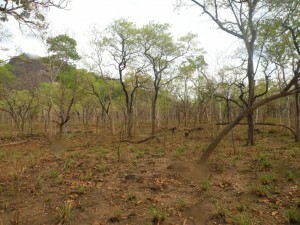 There are numerous natural forests that provide appropriate protection to the animals. 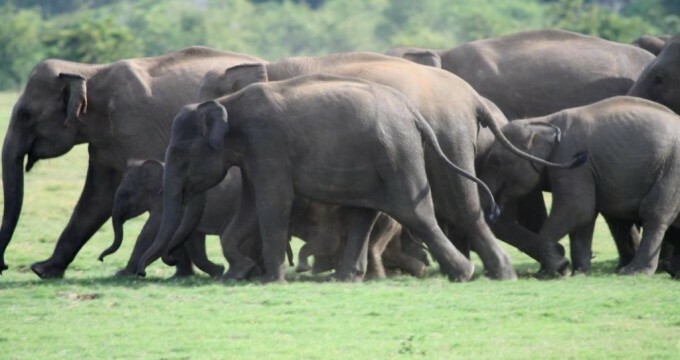 Overall, one starts from about 150 elephants that inhabit the park. 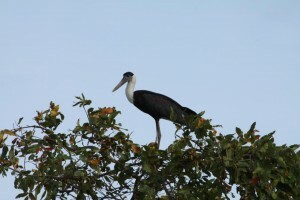 The Wasgamuwa National Park is one of the most important bird sanctuaries in Sri Lanka. 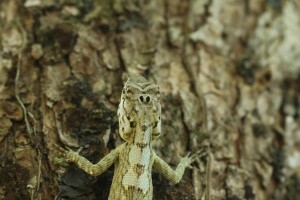 In addition to the elephants there are of course to see monkeys, sloth bear, numerous species of birds and wildlife. Leopards, however, are unfortunately hard to find. The name of the Wasgamuwa is derived from the words “Walas” and “Gamuwa”. “Walasa” is Sinhala, meaning sloths, “Gamuwa” stands for wood. 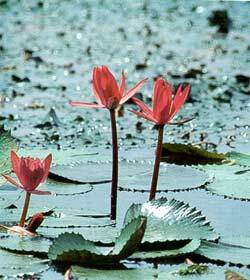 The rivers Ganga and Mahanweli River Ganga Amban offer the animals the needed water reserves. The landscape in the form of lakes and mountains up to an altitude of 500 m also offer trekking opportunities. 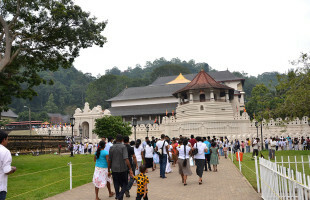 There is historical evidence to that this area had been inhabited by man during the ancient sinhala kingdoms in BC. Giant canal of kalinga (Kalinga Yodha Ela) built in the reign by king parakramabahu in the 12th century while the remains of Malagamuwa, Wilmitiya, Wasgamuwa and Dasthota tanks bear witness to the past prosperity of the area. Kalinga island (Kalinga Duwa) too is an interesting place to visit. Kadurupitiya, Dagoda, Baduruwayaya Buddha Statue, Malagamuwa stone pillars and other ruins also bear witness to the past glory of the area. 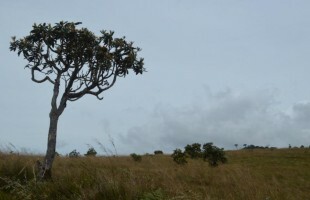 Yudanganapitiya where the armies camped during the battle of kings Durugemunu and Elara is yet another place of historical importance within the Wasgamawa National park. 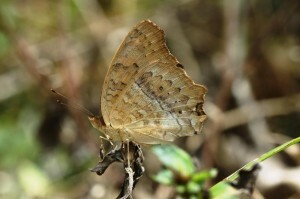 Twenty three (23) species of mammals in Sri Lanka have been reported from this park. The most important of them is the wild elephant ( Elphas maximus) the population of which is approximately 150. in addition, one could see the wild buffaloes ( Babalus bubalis) grazing in the grassland while spotted Deer (Axis axis) roaming in the open areas. Occasions where one comes across a Leopard (panthera Pardus) or a sloth bear (Melursus Ursinus) are nor rare. There are also water Monitors (Varanus salvator) and crocodiles (Crocodylus palustris) roaming very often in the water holes within the park. 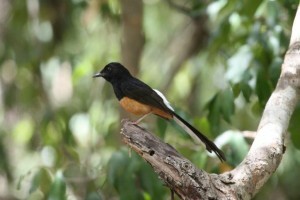 Of the 428 species of birds reported to be found in Sri Lanka, 143 species are found in this park. Turn off at Hasalaka on the Kandy, Mahiyangana Road and proceed via Wilgamawa upto Wasgamuwa. 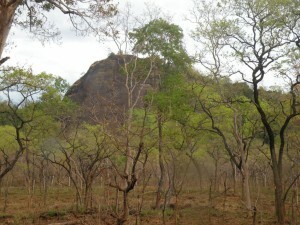 Visitors from Matale and Polonnaruwa areas can reach Wasgamuwa via Laggala and Wilgamuwa. The Wilgamuwa Japan Bridge provides the easy access to visitors coming from the Mahaweli system-C. There are three bungalows within the park and two bungalows outside the park. There are seven campsites for nature lovers to study the natural environment.